UCAN’S Annual Pasta Dinner Sauce Showdown! 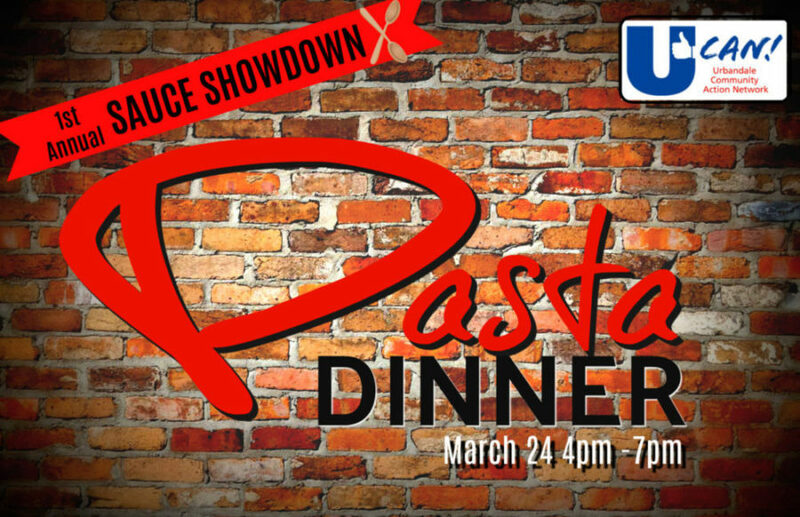 Join us for UCAN’s Annual Pasta Dinner…with a new twist! Great local restaurants will be bringing their signature sauces to compete in the first ever “Sauce Showdown”! You will sample sauces of all kinds and then vote on your favorite! You will enjoy a great pasta dinner, breadsticks, salad and desserts for a great cause! If you like a little vino or beer with your pasta, choose one of our Primo Tickets which includes your choice of red or white wine or beer. Proceeds benefit UCAN’s summer programs for youth in need in Urbandale! 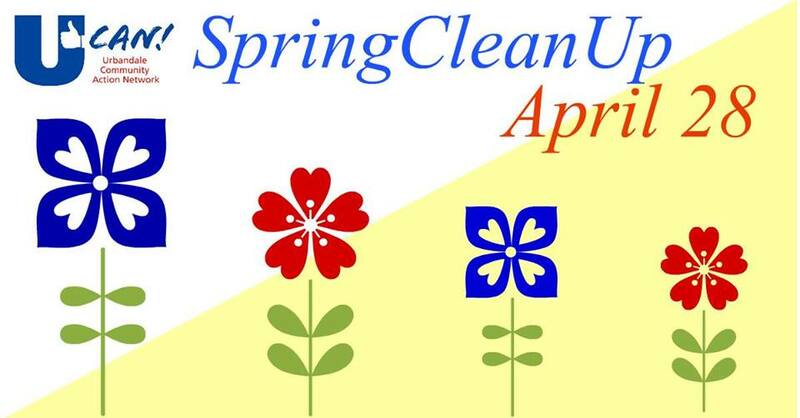 The Urbandale Community Action Network (UCAN) is seeking volunteers for the annual Urbandale Spring Clean-Up. 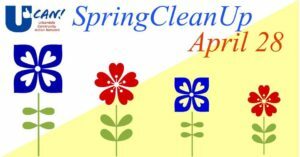 This year’s clean-up will take place on Saturday, April 28nd, 2018. We will be helping seniors and the disabled clean their yards-up and get ready for a great spring and summer! Volunteers help elderly and disabled Urbandale residents prepare for summer by cleaning out flower beds, raking yards, trimming bushes and other general yard work. Volunteers should meet at the Lion’s Park shelter house at 72nd & Prairie in Urbandale at 8am for a light breakfast and provide their own work gloves, rakes and trimmers! Following your morning of volunteering, join us for a quick lunch before you enjoy the rest of your day! The 7th Annual “Mayor’s Bike Ride – UCAN Loop Urbandale” event, is Sunday, May 6, 2018 with free kids activities from 11AM – 2PM; ride registration and lunch from 11:30-12:45 with the ride beginning at 1PM. The Mayor’s Bike Ride event will start and end at Delta Dental of Iowa, located at 9000 Northpark Drive. The Mayor’s ride will offer 3 routes of different distances for the bike ride participants. Registration includes a t-shirt, lunch, refreshments and pre and post ride activities. The Bike Ride is open to children and adults of all ages. The pre-registration fee for the “Mayor’s Bike Ride – UCAN Loop Urbandale” is $30 per single rider and $15 for each additional family member. The Urbandale Complete Streets Committee is sponsoring a variety of fun activities for kids from 11AM – 2PM (You do not need to participate in the Mayor’s Bike Ride to enjoy the free kids’ activities at this event) including a chance to win a new bike, face painting, sidewalk chalk, bike course for kids, helmet fitting and give away, and more! Proceeds will benefit programs for youth in need in Urbandale! Help a child in need by purchasing an item to keep them warm this winter! Join all of Urbandale’s ghosts and goblins for a fun evening of spooks and surprises in our Haunted Casino! Enjoy fun casino games & chances to win great prizes! Costumes are not required, but those who do dress in costume will have a chance to win cash prizes! Purchase your tickets before Oct 1 for $30 admission pricing; after Oct.1 admission is $40. Admission includes a great appetizer buffet, complementary non-alcoholic beverages, wine and beer and a pot of chips to start your gambling off. Proceeds benefit UCAN’s Holiday Helping Hands – programs for Urbandale residents in need during the Christmas season. This year more than 1,000 children, adults and isolated senior citizens will be served through UCAN’s Holiday Programs. 8:30pm Costume contest, Heads or Tails game & much more! The Urbandale Community Action Network (UCAN) is seeking volunteers for the annual Urbandale Fall Clean-Up. We will be helping seniors and disabled residents clean their yards raked and ready for winter! Volunteers help by cleaning out flower beds, raking yards, trimming bushes and other general yard work. Volunteers should meet at the Lion’s Park shelter house at 72nd & Prairie in Urbandale at 8am for a great breakfast from our friends at the Urbandale Lions Club! Please bring work gloves, rakes and trimmers! Urbandale families in need can sign up for one of our holiday programs at Lions Park Shelter. Please bring proof of residency (rent receipt, utility bill), proof of eligibility (SNAP verification, free & reduced lunch or medical), identification for ALL members of your family (SS Cards, school id, school free and reduced lunch form, medical cards).